Dr. Rob Fowler hails from New Brunswick, undertook primary medical training at McGill University and completed postgraduate medical training at the University of Toronto. He subsequently entered subspecialty critical care medicine training and graduate studies in epidemiology at Stanford University. Since joining Sunnybrook Health Sciences Center and the University of Toronto Faculty of Medicine in 2002, he has treated critically ill patients and investigated the ability of our health care system to deliver the care these patients need and want. He has led provincial and international collaborations aimed at identifying barriers to appropriate and timely access to health care, including during periods of system stress, due to severe infectious respiratory syndrome (SARS) and pandemic influenza. This peer-funded research has been published in high impact medical journals, presented widely to academic audiences, the media and the public. 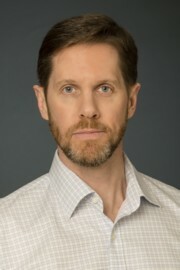 Rob has received numerous teaching and research awards, including an Ontario Ministry of Health and Long-term Care Career Scientist Award, the Heart and Stroke Foundation Clinician Scientist Award and the Society of Critical Care Medicine Patient Safety Award.